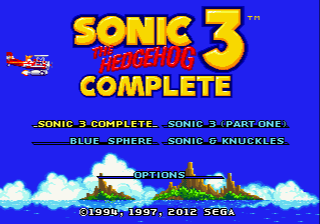 This is a hack of Sonic the Hedgehog 3 & Knuckles. It is a new feature, Sonic 3-ification, and bugfix patch. The game has been altered to restore changes made to Sonic 3 levels so the levels play and sound like they did in Sonic 3. There is also a game selection screen allowing for Sonic 3 Alone, Sonic & Knuckles, Sonic 3 & Knuckles, and Blue Sphere to be played. Several bugs have been fixed and there is a option screen to reverse some changes made. The hack can be modified further with the included ips patches. Cheat codes can be found in the read me. It is encouraged to read the readme as it has an exhaustive list of changes made in this hack. The patch is in xdelta format due to shifted data resulting in IPS patches containing original code. 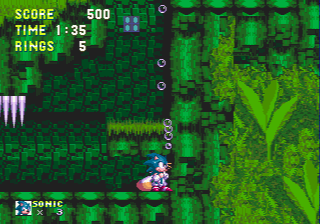 Make sure to use the Sonic and Knuckles & Sonic 3 ROM which is about 4,096 kb in size. The ROM should be in BIN format.